Ever since David was a teenager, the Orthotic & Prosthetic (O&P) field has fascinated him; he has never wanted to do anything else. So, over 20 years ago he became certified in Prosthetics and Orthotics receiving his degree from New York University. Once out of school, he moved to Connecticut and started his career at the Children’s Hospital Center in Newington, Connecticut. While there he gained valuable experience working in pediatrics. The requests we receive from parents to have David treat their youngsters is proof he still has that special connection with children. In 1990 he was promoted to Manager of Newington Orthotic & Prosthetic Systems in Norwalk, Connecticut. It was there that David gained experience treating the geriatric population in both prosthetics and orthotics. 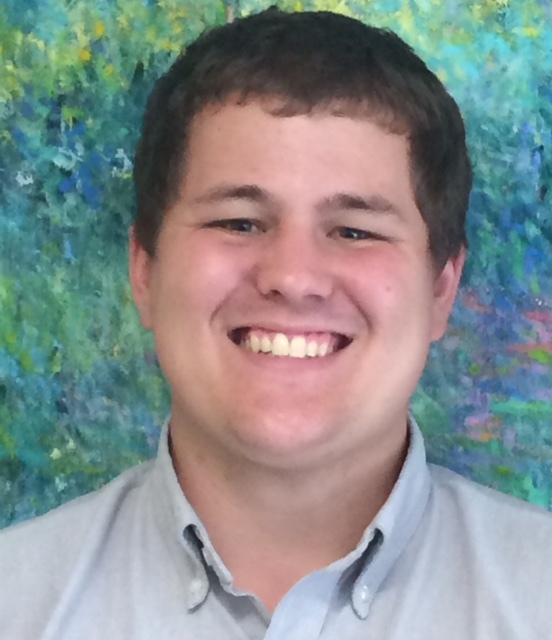 As manager, David also expanded his natural abilities to supervise people and communicate with referral sources. David took his clinical experience and business knowledge to found BioMetrics in 1993. At BioMetrics he created a central fabrication center that to this day, custom fabricates most of BioMetrics’ prostheses and orthoses. In addition, he expanded the entire business process and successfully opened four more patient treatment offices in Waterbury CT, Torrington CT, New Haven CT and most recently Wallingford CT. This expansion has allowed BioMetrics to provide convenient care to our patients, without sacrificing the high standards and personalized attention that BioMetrics is known for. David’s enthusiasm and passion about the field of O&P is evident in how he stays current with the most advanced technology available in the world. In 2004, David was the first prosthetist in Connecticut to receive certification in the MAS (Marlo Anatomical Socket) Design technique to measure and fit above knee amputees. While David enjoys spending time with his family and two Leonberger dogs, he also finds time for racquetball and an occasional game of chess. Along with David’s years of experience and skills, his sense of humor and ability to relate to patients of all ages has earned him exceptional patient loyalty. Tom has always been a handy guy to have around. 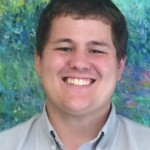 Growing up, Tom spent a lot of time doing home repair projects and working on cars with his dad and older brother, so it’s no surprise he entered a field that requires a lot of hands on work, creativity and problem solving. It also incorporates his lifelong fascination with science. Tom graduated with a degree in Biology and then worked in the Physical Therapy Department at St. Agnes Hospital in White Plains , New York . His plan had been to go back to school and become a physical therapist, but his exposure to orthotics and prosthetics while working in the PT department made him rethink that decision. Tom then enrolled in the O & P program at New York University to become a prosthetist/orthotist. During his training at NYU, Tom worked in VA Hospitals and the highly regarded Burke Rehab Hospital . Following graduation, he joined Innovative O&P where he remained for 27 years. He may have completed his formal classroom studies but Tom has been diligent in pursuing on-going education in a variety of courses to continually increase his knowledge of the field and new products. His main interest is in lower extremity prosthetics, and he is certified in C-leg, Rheo Knee, and MAS socket design. Tom also spent a week at UCLA learning ischial containment socket design when it was first becoming the trend. His training as an orthotist provided him with the philosophy of designing the most minimal bracing possible to address the needs of the individual. For the past 10 years Tom has used a “tone reducing” design that has reinforced his belief that impressive results that can be produced by using the right brace with the right patient. He has extensive experience with a wide range of AFOs (Ankle-Foot Orthoses) and Knee Orthoses for ligament issues, osteoarthritis, and spinal bracing. His recent specialty training includes the “Trulife” S.W.A.S.H. Dynamic Hip Orthosis. Prior to joining BioMetrics Tom had professional relationships with a number of hospitals and nursing facilities throughout New York City and Westchester County. Tom is divorced with 2 children. He is proud to share that his oldest is a daughter who just graduated from the University of Scranton, and his son is attending SUNY at Albany. Tom makes the most of his time-off. He enjoys downhill skiing, softball and regularly works out and runs. On the less active side, Tom spends time in NYC going to shows, visiting art museums, and attending concerts (folk, rock, jazz, and classical). Visits to good restaurants are always on the itinerary. Closer to home, Tom likes to cook, garden and takes dance lessons (swing, salsa, ballroom!) and is an enthusiastic student of American history. 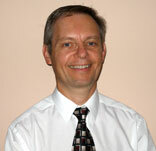 Combining Tom’s technical skills, experience, and range of interests make him a talented clinician. His hands on approach and ability to communicate with patients on a wide range of issues make him a valuable addition to the BioMetrics team. We know his patients at Innovative O & P will miss him but are excited that our patients will now benefit from his experience and good humor. Growing up in a small town near the Amish Country in Hanover, PA, Andy developed his home remodeling skills. These skills are what actually lead him into the Orthotic and Prosthetic (O&P) field. While Andy was living in Denver remodeling his third home, his brother Matt, who is a Physician Assistant, suggested to Andy that the O&P field is similar to home remodeling but only on the human body. Andy knew after attending undergraduate school in North Carolina and completing his BS in Business Administration at the University of Delaware he wanted to continue with his graduate education. Since he always had a fascination with the medical field, he thought his brother’s suggestion was a good idea. So he packed up his remodeling tools and moved to Connecticut to attend the Newington Orthotics & Prosthetics Program where he finished Valedictorian of his class. Once his classroom education was completed, he moved across the country to San Francisco to complete his Residency. Upon completing his Orthotic Residency and passing his boards, he returned to Connecticut and while working as an Orthotist he continued his education at Newington in Prosthetics. 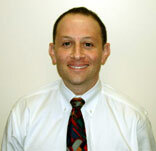 Over the past several years Andy has gained valuable orthotic experience with both pediatrics and geriatrics. Treating patients with stroke, spinal cord injury, cerebral palsy and multiple sclerosis has lead Andy to become certified in The WalkAide System, and advanced neurorehabilitation therapy for drop foot. 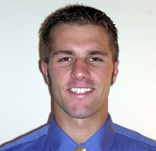 Andy currently lives in New Haven and stays active by being a member of several Ultimate Frisbee leagues. He also stays fit by trail running and tennis. When he is not actively enjoying the outdoors you can find him working on crossword puzzles, watching bad science fiction movies and researching the area’s next bad lounge singing club to visit. Andy’s education has allowed him to travel through much of the United States. For this reason he has had to leave Jake, his West Highland Terrier, in Pennsylvania with his parents. His travels have also brought him to see most of East Asia, Africa and Europe. His travel wish list includes Central and South America. Combining Andy’s orthotic experience, hand skills and insatiable desire to learn makes him a valuable addition to the BioMetrics team. We know our patients will benefit from his skills and enjoy his fun sense of humor. Education:Southern Connecticut State University, BS in Physical Education and MS in Human Performance. Shelley was born and raised in a little town just outside of Pittsburgh Pa, known as Leechburg. It was during these formidable years that the ground work was laid for her O& P career. She was often found hanging out up in a tree building something, or in the house playing with her erector set. Her family moved to Wallingford, CT in 1980 where she attended and graduated from Lyman Hall High School. She went on to attend Southern Connecticut State University, where she earned her BS in Physical Education and a MS degree in Human Performance. She attended the Newington Certificate Program, in conjunction with the University of Connecticut School of Allied Health, graduating from the Orthotics program in 1994 and Prosthetics in 1998. Shelley has been in the field for over 15 years. 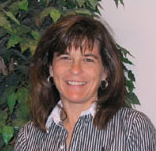 Her scope of practice includes all levels of orthotic management, specializing in pediatric services. She is recognized as a leader in the orthotic treatment of scoliosis and happens to be the longest serving female certified Orthotist/Prosthetist in Connecticut. Shelley is dedicated to working closely with your doctor in providing you with the most appropriate device, and she will work hard to make your experience a pleasant one. Shelley lives along the CT shore and when she is not working she enjoys the sights and sounds of our beautiful coastline. She has 2 English Labs and can be found most evenings walking the “ boys” around the neighborhood. Sunday afternoons are dedicated to her interest in watching her beloved Pittsburgh Steelers and participating in a Fantasy Football League. Born and raised on a small family farm in Monroe, CT, Ryan learned quickly how to repair, build, and modify farm equipment and other devices to make family life easier. While in 8th grade, he was required to complete a job-shadowing experience in order to graduate. His mom, a physical therapist, recommended shadowing an orthotics and prosthetics company as she knew he enjoyed helping people and working with his hands. Ryan started volunteering at BioMetrics during his sophomore year at Masuk High School … AND HE NEVER LEFT! Ryan was pressured by David Rooney (BioMetrics’ owner) to obtain a degree in engineering as it would help him immensely in the field of O&P. Ryan attended Clarkson University where he majored in Mechanical Engineering and minored in Biomedical Engineering. While at Clarkson, he was part of the hockey pep band, president of one of the schools many design teams, and helped start the Clarkson Football team. After graduation, he passed his Fundamentals of Engineering exam and started his MS at the University of Hartford. While at the University of Hartford, Ryan spent over 18 months helping set up the Pediatric Balance Lab for the PT department. Now that his classroom education is over, Ryan is completing his residencies at BioMetrics before he can apply for his O&P licensure. Ryan brings to our company immense skills in computers, “outside of the box” thinking, and a refreshing sense of humor. Ryan still lives in the area where he is a member of Monroe Volunteer EMS. In his free time, he likes to disassemble, repair, and build devices from scratch whether it be wood, metal, or electrical. Ryan also is an avid hunter during the fall and winter months, but most of all he enjoys spending time with his wife and family.